NT2167 OIL PRESSURE GAUGE - £58.50. 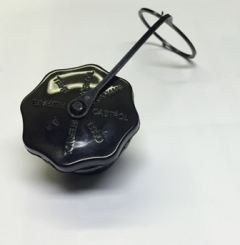 We have these Nuffield oil pressure gauges made to the specification of the original drawing. Genuine British craftsmanship and clearly marked with TOMEY BIRMINGHAM MAKERS, made in the UK. 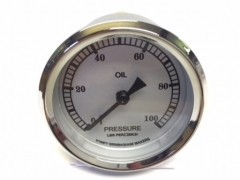 The first oil pressure gauge fitted to Nuffield Universal, M3, M4, MV3, PM4, DM4, 3DL and early 4DM. Measuring 0-100 psi. 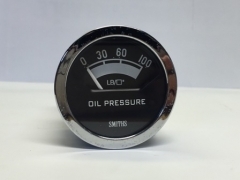 This oil gauge was also fitted to the BMC trucks of the same era. Not to be confused with cheaper 'aftermarket' gauges available elsewhere. Genuine British craftsmanship and clearly marked with SMITHS, made in the UK. 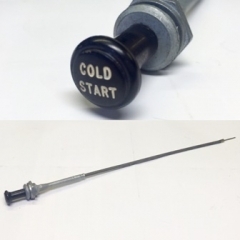 TRACK ROD END OUTER - £17.70. 2 PER TRACTOR FOR 2WD TRACTORS. Fitted to: Nuffield 3/45 and 4/65 tractors. Leyland Middleweight 253, 344, 384, 255, 270, 245, 262, 272, 282 tractors. Leyland Heavyweight 285 & 2100 tractors. Marshall 502, 602 , 702, 802 & 902 tractors. 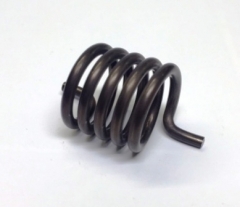 ATJ5745 SPRING - £11.00 Spring torsion. Return for latch on single latch hitches. Leyland 344, 253, 384, 270, 253, 245, 262, 272, 282, 462, 472, 482. All standard models from serial number C250840 to 251901. See also SPK1023 SPRING - Twin latch hitch return spring. 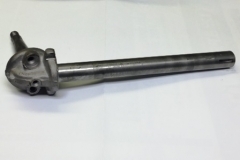 Stub axle - king pin left hand - £97.88 Original made in the UK! Fitted to: BMC Mini, Nuffield 4/25 & Leyland 154 models. 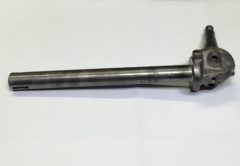 Stub axle - king pin right hand - £97.88 Original made in the UK! Fitted to: BMC Mini, Nuffield 4/25 & Leyland 154 models. Genuine original mirror head fitted to Leyland tractors with explorer cab. £32.40. made in England! Dimensions: 10" x 6" Fits to HTH89: MIRROR ARM. This genuine mirror head can also be fitted to Marshall tractors with Sekura/Explorer cab. A cheaper alternative can be fitted - ACU1998 at £9.85. CMK2044: WATER PUMP C/W GASKET. £24.00. Fitted to: Nuffield 3/45 and 4/65 tractors Leyland Middleweight 344, 384, 255, 270, 262, 272, 282, 462, 472, 482, 602, 604, 702, 704, 802 and 804 tractors Leyland Heavyweight 285, 2100, 485 and 4100 tractors Marshall 602, 604, 702, 704, 802 and 804 tractors. Also some JCB's fitted with 3.8 and 4/98 Leyland Engines. 37H825: SPRING COLD START DPA PUMP - £4.54 'START RETARD' Fitted to all tractors with DPA rotary injection pump 498 and 698 engines. 11B350: BALL JOINT - £3.78. For hand Throttle Fitted to Leyland heavyweight models: 285, 2100, 485 and 4100 throttle controls. Leyland middleweight Q cab tractors - 245, 262, 272, 282, 462, 472, 482, 5x2 and 3x3. Marshall QM cab tractors 502, 602, 702, 802, 604, 704 etc. 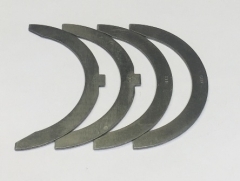 37D154/37D155: THRUST WASHER KIT - £28.64. Fitted to: BMC Engines - 2.6, 3.4T, 3.8T and TA Nuffield 3DL, 342, 10/42, Universal 4, 460 and 10/60 tractors.